Expect amazing new experiences as we blend team messaging, meetings and phone calls in the cloud. Exposed APIs mean the sky is the limit for what comes next. It is designed from the ground up for highly secure collaboration that is delightful to use. Today, most of us use unconnected tools for team messaging, virtual meetings and phone calls. Called Cisco Spark, our new offer mixes messaging, meeting and calling in such a simple way that it is hard to tell where one ends and the next begins. With Cisco Spark, all three are parts of a complete user experience. For instance, with a single click you can turn a phone call into a video meeting. With a swipe you can move a video call from a room system to your mobile phone and then to another room—so you don’t have to miss anything when you need to move. For example, let's look at what Cisco Spark Hybrid Services does when you place a call from a Cisco IP phone. The act of placing the call automatically creates a meeting in the Spark room that the two of you share. There, you can show content with a single click. We call this a “zero-touch meeting” because no one actually has to set it up—it is just there when you need it. Complete Cisco Spark service: in the United States in the first quarter of 2016 (other countries throughout 2016). Spark Hybrid Services: in 21 countries beginning in the first quarter. Cisco (NASDAQ: CSCO) powers the world’s Internet experiences. We connect people, processes, data and things to enable innovation that benefits business and society. 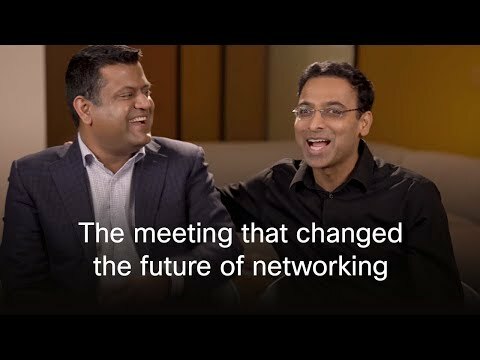 For more information, visit: http://thenetwork.cisco.com.